The year 2018 is ready to enter its 3rd quarter, 17 years have passed since the September 11 attacks. 17 years ago today, I heard that two super high building collapsed from airplane suicide attack from the news. At that time, I was still a junior school student in China. My life was no more than playing soccer, basketball, video games, and some “boring” study and homework. It was my first time to hear the term “terrorism”. The term was brand new for a stupid kid like me so that I could not fully understand what it meant. New York City to me was merely a far far away city which was just frequently mentioned on Chinese national TV channels or international channels. Believe it or not, I even could not locate it on a world map, and I just knew that there was a great country called the USA, and there was a big city called NYC. “New York, New York, the city is so nice that people call it twice.” I don’t remember exactly where I saw this sentence, but I am pretty sure that it was from an English study book. You may think it is funny but the reason I remembered this sentence was that the repeated “New York” completely flummoxed me. I did not realize that New York was the name of the city and also the state until a long time later. The attacks were a tragedy with no doubt, but I don’t think I am qualified to restore the event or put myself into the shoes’ of the people who experienced the tragedy. I just wanted to describe what I felt from the perspective of an international student who is currently studying in New York City. Not sure if you have noticed that New Yorkers’ walking pace is much faster than the people in other places. They seem to rush for everything in their lives so that they cannot waste one single second in their walking. Usually, people in big cities do not have strong connections with their neighbors, don’t say hello to strangers passing by. So you may feel that New Yorkers are kind of cold or not so friendly. But during the chaos, countless heroic or common-but-touching moments occurred. After the disaster, people helped each other to restore from the trauma and build a better city upon the ruins. Nobody started to blame each other or blame the government; they did not yield and did not compromise to the terrorism. I think that maybe the attitude is the key for the city to remain the top 1 city in the world for a lot of years, and is also the reason that the city can attract thousands of elites from all over the world every year. 17 years passed, some people came, some people are gone, some things are memorized, some things are forgotten. 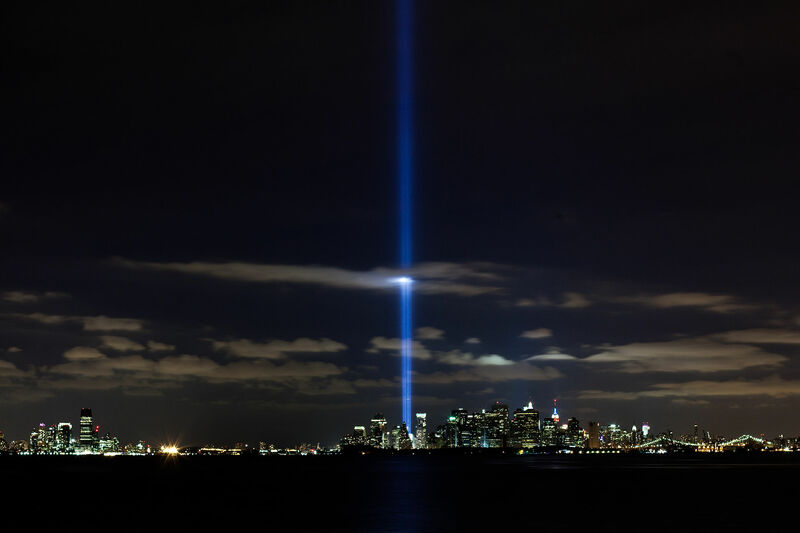 But there is something that people will never leave behind, just like the Tribute in Light stands there every Sep 11.